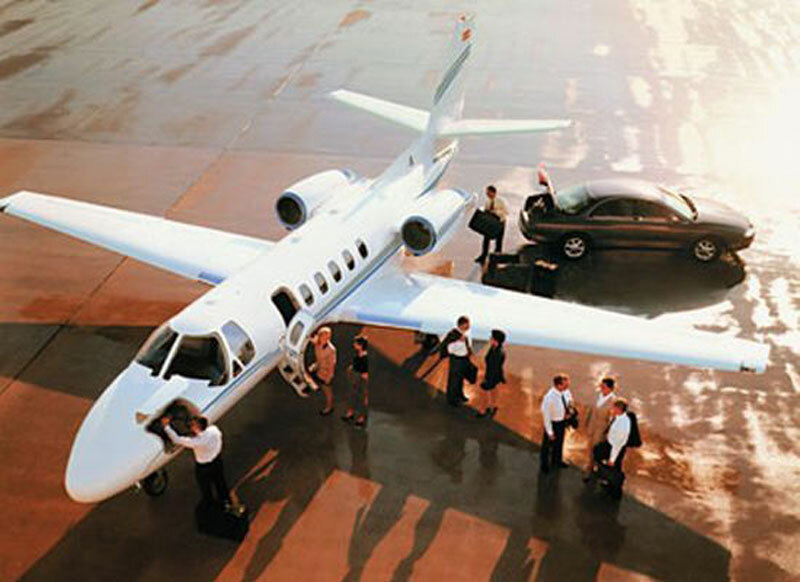 Paramount Business Jets offers numerous private air travel options to and from Denver, Colorado. If you are thinking about flying into Denver, you have 4 airport options in Denver and over 22 airport choices in the vicinity of Denver, all of which are located within a 50 mile radius of the city itself. The major airports for private travel include Centennial Airport (APA), Rocky Mountain Metropolitan Airport (BJC), and Denver International Airport (DEN). Commonly rented private jets in the area include light jets (Hawker 800 XP, Learjet 35, Citation CJ3, and Citation Bravo), super light jets (Falcon 10, Learjet 45, and Citation Excel), midsize jets (Learjet 60, Hawker 800XP, and Gulfstream 150), super midsize jets (Hawker 1000, Citation Sovereign, and Falcon 50), and large jets (Challenger 604, Falcon 2000, and Falcon 2000LX). In addition, there are plenty of turbo prop aircraft options such as the King Air 200, King Air 350 and Pilates PC-12. VIP airliner charters such as Embraer 135 Business Jet and Boeing Business Jet can be arranged for larger group of passengers. Call us anytime at 1-877-727-2538 for more details. Realistically nicknamed the "Mile High City", Denver, CO is exactly one mile (5,280 ft.) above sea level. It gives home to over 2,500,000 people making it the 27th most populated state in America as well as Colorado's State capital. The entrance to the city is proudly shown with golden arches stating its nickname. Denver's Climate is temperate during the summer and spring months and drops to about 10*F during the winter and fall months. Due to its diverse climate, Denver offers tourists both a relaxing and entertaining summer and winter getaway. Realistically nicknamed the "Mile High City", Denver is exactly one mile (5,280 ft.) above sea level. It gives home to over 2,500,000 people making it the 27th most populated state in America as well as Colorado's State capital. The entrance to the city is proudly shown with golden arches stating its nickname. Denver's Climate is temperate during the summer and spring months and drops to about 10F during the winter and fall months. Due to its diverse climate, Denver offers tourists both a relaxing and entertaining summer and winter getaway. Popular tourist attractions in Denver include the Colorado State Capitol, Denver Museum of Nature and Science, Denver Botanic Gardens, Denver Art Museum, Elitch Gardens, Byers-Evans House, Washington Park, and Red Rocks Park and Amphitheatre.